A podcast, resource center, and online community for dads. We are intentionally celebrating the gift of fatherhood and providing men a pathway to greater purpose. Our vision: change the world one dad at a time. My guest today is Dean Pohlman. He’s a former Division I college athlete turned yoga instructor, and the founder of Man Flow Yoga, an online yoga resource for men of any fitness level. Dean and Man Flow Yoga have been featured in Men’s Health, as well as Muscle & Fitness Magazine. And whether you consider yourself to be in great shape already, or acknowledging that you could drop some pounds off your classic dad-bod, Dean has a program designed just for you. Most dads feel intense love for their kids, but some are unable to express it in constructive or nurturing ways. When we learn to harness the transformational power of Christ’s love, we become the fearless leaders our families deserve. When we embrace God’s example of fatherhood and integrate His principles of love, leadership, sacrifice, and self-discipline into our daily lives, we unlock our full potential as fathers and gain a clear vision for our future. Untapped power exists at the intersection of our paternal love and Biblical principles that change lives. We are bridging this gap and through our many resources, work to equip men to bravely lead, love like Christ, and leave a lasting legacy. 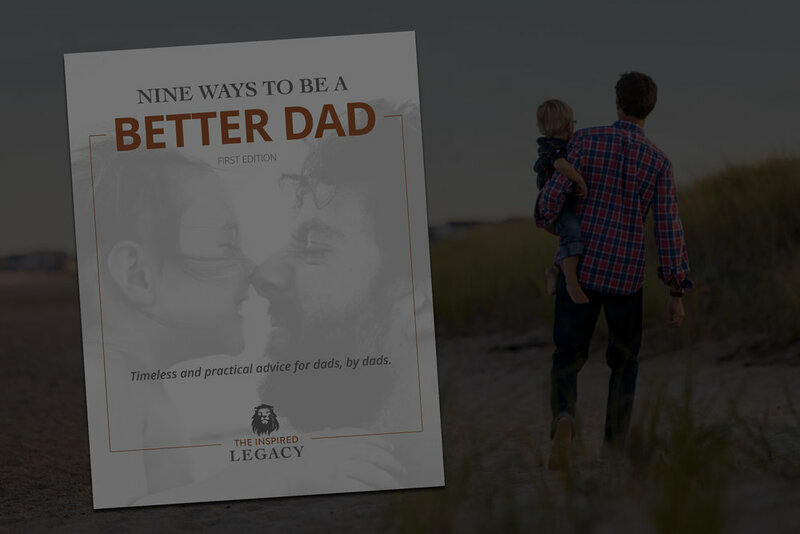 Sign up for our email updates and get your FREE copy of our Dad Guide: Nine Ways to Be A Better Dad. Loose lips sink ships. We don’t share any of your info with anyone—ever. Please check your email to confirm your subscription, then we'll send you a link to download your free Dad Guide: Nine Ways to Be A Better Dad. Jerry is an award-winning broadcaster, best-selling author, and inspirational speaker who has appeared on many top talk shows including Oprah and The 700 Club. He's also interviewed stars ranging from Garth Brooks to President Ronald Reagan.